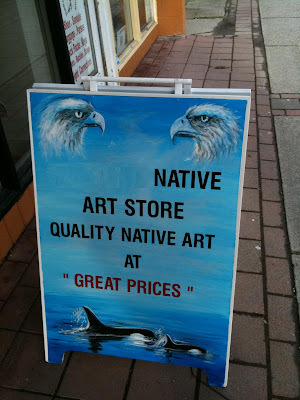 The “Blog” of “Unnecessary” Quotation Marks: "great prices"
I guess the prices aren't so good after all. Thanks, Aaron. Perhaps this was commentary from the customers, expressed with sarcasm, so in the interest of feigned honesty the store owner enquoted it. The prices could be "great" meaning large and imposing.